Imagine stepping out of your door each morning into crisp fresh air. While taking a deep breath, you close your eyes and listen to the sounds of nature unfolding. The day progresses, and while you fulfill your job requirements, you explore your surroundings. When evening comes, you relax near a pristine lake and watch a fiery sunset vanish behind the mountains. A place with friendly people and views to die for! This is workcamping! A job where you combine “work” and “camping” in exchange for wages and a free place to park your RV or motorhome. At the time my husband struck up a conversation with the couple that came around to collect campsite fees, I was unfamiliar with the term workcamping. However, I was well aware of couples working as campground hosts in exchange for free campsites. The couple, who were retirees, answered questions about their duties as campground hosts as our party of campers dug in their pockets for cash. They explained that they received a small wage in return for collecting usage fees, picking up trash, cleaning bathrooms, and generally making sure that everything around the campground was in order. Furthermore, they volunteered that their summer job would soon be over and that the Forest Service was looking for replacement hosts. A friend noted that my husband was particularly interested in that fact. Let’s look a bit more in-depth at what workcamping is and how it represents a new way of retiring for independent, adventure-loving baby boomers. With the exploding sales of RV’s, it is apparent that a growing number of people are seriously turning to workcamping as a lifestyle. It’s trendy for boomers who want to quit their jobs, downsize, and live minimally. For rebel retirees with a sense of wanderlust, it provides great opportunity to see some of the country’s most beautiful places while earning a living or supplementing a social security check. Workcampers, (that’s what people with a workcamping lifestyle are called) travel around from place to place working in exchange for a free spot to park their rig. Jobs are most often seasonal, temporary, and commonly entry level. Wages are usually around $10.00 an hour. Not that great! However, most workcampers consider the benefit of working and playing in extraordinary locations, and the fact that employers provide a free space to park their RV, camper trailer, or pop-up, worth the lackluster pay. It’s not uncommon to receive other perks such as paid utilities like water, sewer, and electricity. The most popular workcamping jobs are as camp hosts, seasonal workers at national parks, KOA campgrounds, and Amazon fulfillment centers. Why would you want to be a workcamper? Let’s say you are empty nesters, and no longer need the big house. The kids have moved on, and you are thinking about buying a smaller home. 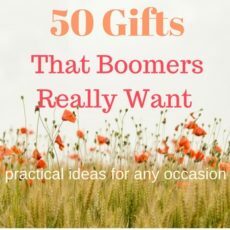 Like most boomers, you haven’t saved enough to spend your golden years living high off of the hog, but would like to quit your job NOW and see the sites that are on your bucket list. The workcamping option allows you to quit your current job, sell the house and cash it in for an RV. Your money worries are resolved since you know that you will be earning an income. You gain a sense of independence and freedom. In essence, if you play your cards right, you will be paid to travel! Are you ready for a real change and have a serious sense of adventure? Here are some tips to help you get started workcamping. Mini Storage Unit – Are you capable of extreme downsizing? I’m not sure that I am. When my husband and I decluttered in order to move across the country after living in the same house for 18 years, it was no small task. We had loads of things that we disposed of before the move. Nevertheless, we had many things such as furniture, office equipment, and tools that we did not want to get rid of that would not fit in our new home. This is when we discovered mini storage. It’s comforting knowing that we can access our belongings in storage at our convenience. A categorized list makes it easy to know what’s inside each box. Storage units vary in price and accessibility, so do some research in your area to find out what is best for you. A storage unit enables you to workcamp with the security of knowing that if you need your furniture, appliances, tools, keepsakes, etc. in the future, they are available. Extreme Downsizing – With this option, you will need to declutter and get rid of most of your belongings. Everything from furniture to appliances and the memorabilia that’s stored in the attic or basement will need to go! Duplicate items aren’t necessary. You will have to toss all but the most essential. You will need to donate or sell everything you determine you don’t use or need. What are you willing to get rid of? Gifting – Consider gifting your beloved pieces and keepsakes to your children and grandchildren. You can have a family gathering to determine who wants what. Just remember to give it to the ones who appreciate it. Donation – Donate other items of use to local thrift stores, or the Salvation Army. Sell everything else on sites like ebay, OfferUp, or 5miles. To sell quickly, offer your items at 50% to 75% off of their original price. Can you picture yourself living in a camper or trailer? What size rig best suits you? Where will you put the stuff that you determine is necessary to take with you? Keep your pets in mind. How will they adapt to life on the road? Think about the area where you will be working. What is the climate like? What are the costs of living in that area? Most workcamping jobs are temporary and seasonal. Work may be difficult to find in the winter. What will you do for money during the off-season? Make a pros and cons list. What are the benefits of becoming a workcamper? What about it could you absolutely not stand! The following websites have information and job opportunities to help you in your quest. Some of the job offerings already have employee housing, so check out the job descriptions and find out if your RV is welcome. Register for your free account at Workamper News. “Available for both Workampers and employers, Workamper News has been the premier source for connecting RV lovers and potential employers for more than two decades. “Discover all the things to love about working at Amazon”…, claims Amazon. This video from “CheapRVliving” is a useful resource that puts it all into perspective. The workcamping lifestyle consists of traveling around the country working seasonal and temporary jobs for modest wages and free camping spots. Perks include free utilities and the opportunity to explore new and scenic places around the country. The most popular jobs include campground hosts, seasonal work at national parks, KOA facilities, and at Amazon fulfillment centers. Workcamping, the term for combining “work” and “camping” is a growing trend for baby boomers who want to hit the road in retirement. ← 15 Online Courses – Retirees Learn at Home for Free!